As far as uses for recouped, recovered, redone former industrial buildings, it’s hard to beat the modern art museum. Those wide open spaces, steel beams and insanely high ceilings seem tailor-made for the exaggeratedly large installations that have become the standard for today’s artists. While the world of industrial buildings converted to modern art museums has an unassailable winner – the Tate Modern, built in a former power station on the banks of the Thames in central London – Milan has a reasonably competitive entry with the HangarBicocca, constructed in a red-brick, steel-framed building that for 70 years churned out train carriages and locomotives, farm machinery, boilers and, during World War I, planes, bullets and other war material. The HangarBicocca sits in the formerly industrial Bicocca area a few miles north of Milan’s city center, which in the not so distant past was home to factories owned by Pirelli (of tire fame) as well as industrial groups Falck and Breda. When journalists make reference to Milan’s industrial past, and we often do when we write about the city, it’s this area we’re talking about. Hundreds of thousands of people kept these factories humming up until the early 1980s. In addition to the museum, inaugurated in 2004 and owned by Pirelli, the area now houses a shopping center, multiplex, apartments, offices and cultural venues including a large theater. Pirelli spends between 2 and 3 million euros a year to sustain the museum though the idea is for it to eventually become self-sufficient, said Marco Tronchetti Provera, Pirelli chairman and chief executive. HangarBicocca today kicks off a new exhibition called, aptly enough, Installations, by Brazilian artist Cildo Meireles. 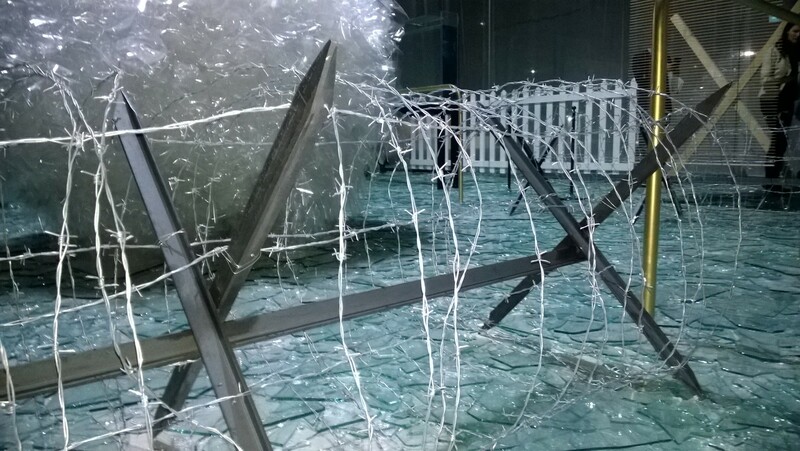 Visitors are treated to 12 multi-sensory installations. Most are huge, one is tiny. Let’s start with the latter, which is a miniscule, I mean really miniscule, wooden cube that is one third of an inch (9 millimeters) on each side. If it weren’t illuminated by a flood light, you could easily crush what is most probably the smallest installation in the history of mankind. 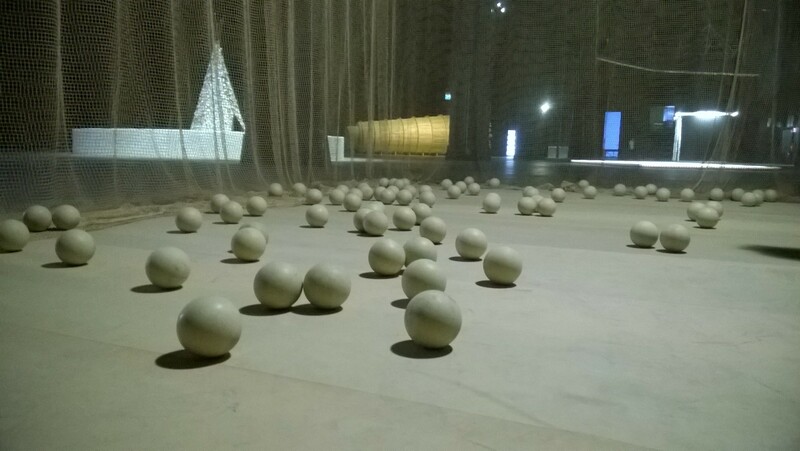 Cruzeiro do Sul, as the installation is titled, would get lost in the 270-square-foot (25 square meters) apartment where I lived for five years; place it in the cavernous HangarBicocca and the effect is all the more shocking. Eureka, the name of another installation and also the motto of my home state of California, is designed to call into question your preconceived ideas as you walk among two hundred identical balls that when picked up, you are encouraged to do just that, reveal themselves to be of different weights. Not a heart-stopper, but interesting for sure. Olvido – a reflection on the tragedy lived by the Native Americans after the arrival of the Europeans – is a teepee, covered in 6,000 banknotes from the Americas surrounded by three tons, yes tons, of cattle bones. This disquieting scene is cut off from the visitor by a low wall made up of tens of thousands of candles. And if that were not already enough, there is the constant hum of an electric saw that comes from behind the teepee. 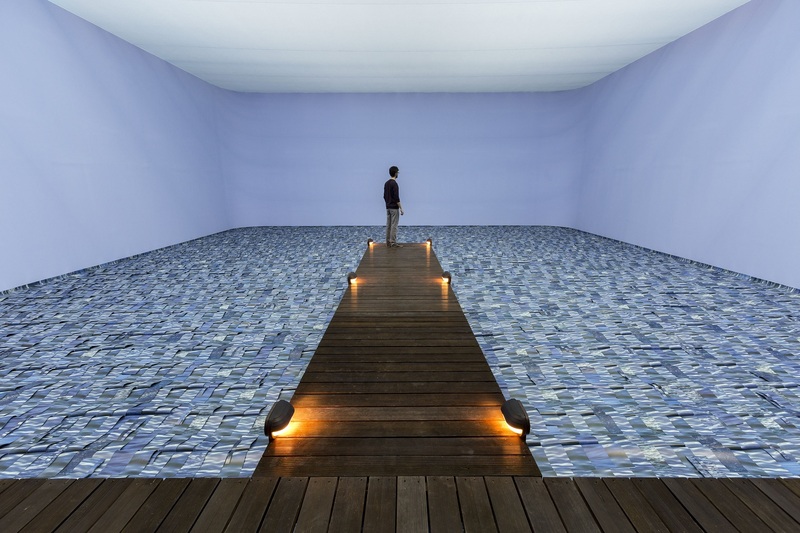 For pure visual pleasure the prize goes to Marulho, a wooden ramp and jetty that juts out over a “sea” of blue books. Installations runs through July 20 and it’s free, the best of all price points. 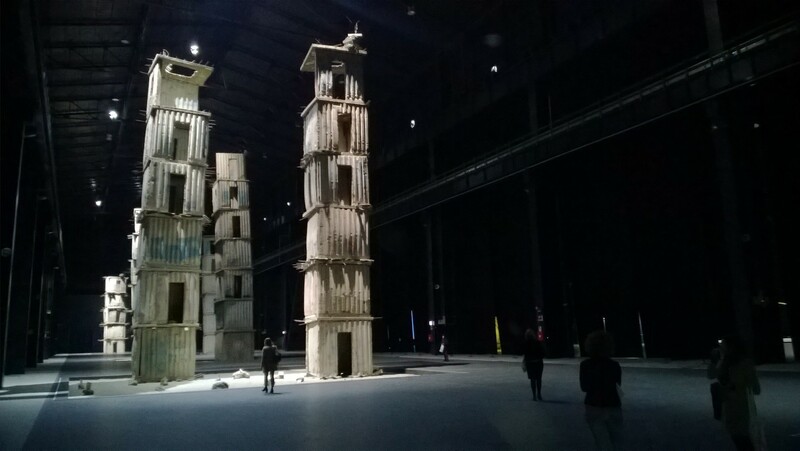 HangarBicocca has no permanent collection except for The Seven Heavenly Palaces, seven enormous towers designed by Anselm Kiefer that with superb aplomb spring up from the museum floor. Between these towers and Meireles’ 12 installations you’re sure to walk away scratching your head, thinking it was all pretty cool and wondering how you’ll ever be able to look at anything but the most monumental of installations in the future. Italy Has a New Tallest Building…or Does it?